1. Briskly mix L'arte Solemare Olive Oil, L'arte Blood Orange & Basil White Balsamic, mustard, salt and pepper until it is emulsified (it will look creamy). 2. Place mixed salad in plates. 4. 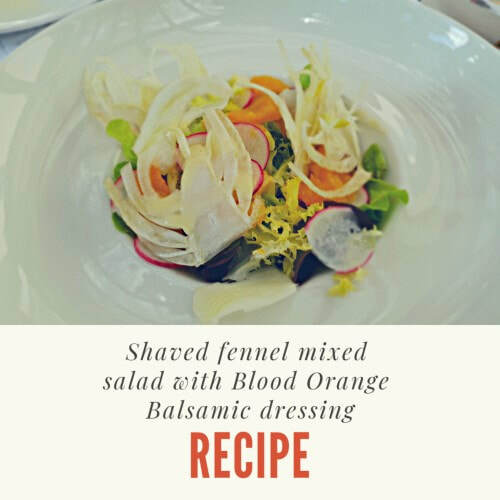 Divide up shaved fennel and place on top of each plate. 5. Drizzle mixed dressing on top and enjoy!